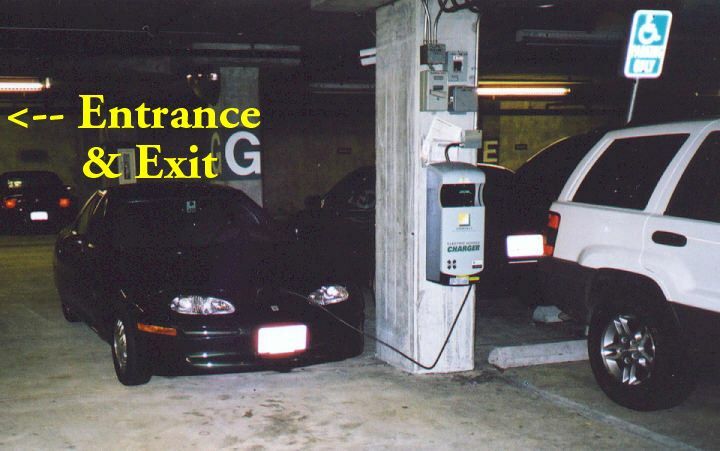 12/09/03, Frank Guillen: The Hyatt management would not allow use of charger unless you¹re a guest at the hotel. Steve Casner, 9/02: The good part of valet parking is that the attendants will move other cars to allow access to the chargers. The bad part is that it costs $30 per night (as of 9/2002). Also, be aware that the attendants may pull the paddle when they think charging is finished rather than leaving it in place to provide support if the car needs it, so you would be well advised to leave a note and/or talk to the attendant. The Hyatt entrance is on North Point just west of Taylor. The chargers are located in the underground garage which is all valet parking, although the attendants have asked me to drive the car down myself each time I have been there. 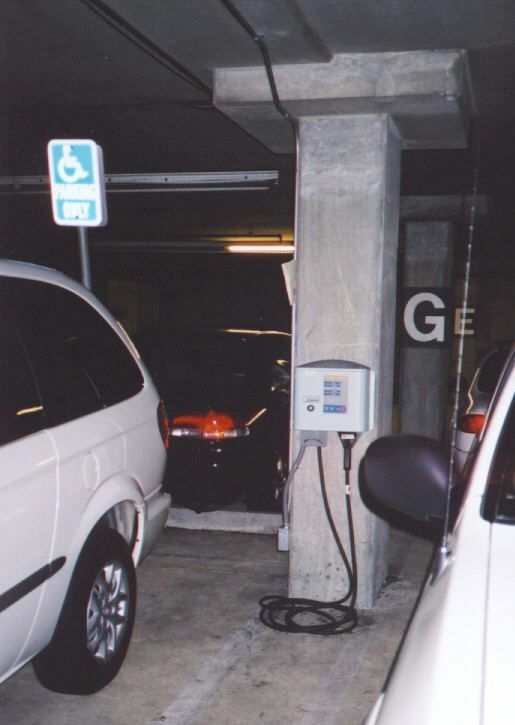 The large paddle inductive charger is on the end of the central section of parking spaces nearest the entrance, and the Avcon is one pillar further in. Knuckles Bar & Grill is in the Hyatt. Many restaurants, shops, and a variety of entertainments are within walking distance in the Fisherman's Wharf area. Generated on Sunday, 1/30/2011, at 10:45:24 PM PT from evcnall.fp7. 8/18/03: deleted out of date comments.